We’re not quite half a month into 2015’s resolutions. How are you doing with yours? I’ve thrown back a little more coffee than my allotted two cups a day, but I’m going to cut myself a break. If you’re starting to lose a little steam or struggle with your resolutions, sometimes it makes sense to reassess your options. My favorite author on the subject of happiness and a big goal-setter Gretchen Rubin says that sometimes it pays off to throw a little money at a problem if solving the problem will make your happier. That might mean hiring a cleaning lady once a month, getting healthy meals delivered or getting a membership to a gym where you know you’ll be held accountable. So we’ve combed Chicago to provide you with tools to help you keep your resolutions. You took the plunge and resolved to eat healthier, whatever that means to you, but your Sunday meal prep isn’t happening and your drawer full of fruits and veggies is just sitting there, going to waste. Now what? Consider your options. Factor 75: This healthy meal delivery service believes that your nutrition deeply impacts your performance in the gym and throughout the day. At just under $14 a meal, this healthy food delivery service promises 100 percent organic produce; hormone and antibiotic free, pasture-raised and grass-fed meats; and soy, gluten, GMO, and preservative free food. KitchFix: A meal delivery service you may have seen in some of your favorite gyms, Kitch Fix takes pride in the sourcing of their ingredients, which are mostly organic, as local as possible and ethically sourced. Through KitchFix, you can get your food delivered to your home or a local gym with a KitchFix refrigerator for pick-up. Meals will run you $12 for a medium-sized meal and $15 for a large size. My Fit Foods: This grab-and-go healthy option has locations across Chicago with pre-prepped meals for breakfast, lunch, dinner and snacks that you can pick up to easily stock your refrigerator. You can request special meals for your dietary needs or you can stick to the menu. You want to increase the amount of exercise you’re getting each week, that’s great news, you’re in good company. But as you go to execute this goal, it’s easy to let things like time, travel and accountability get in your way. Here are some tools to keep your workout goals moving in the right direction. ClassPass: If you can’t talk yourself into stepping onto your bedroom floor in the morning when your alarm goes off, you may need a two part solution. An accountability buddy and a consequence. My friends, Hubs, everyone around me joined ClassPass, so it’s ultra easy for me to find someone to take a class with me – any class. The $100/month membership gets you unlimited classes across Chicago with a three class limit at each studio. So talk a friend into joining and schedule some classes together. You’re much more likely to show up if you’ve got a friend waiting for you. Oh and, it helps in the morning to know that if you no-show, it’s going to cost you $20. Although I must say, on a few occasions, I’ve done the cost/benefit analysis and I was willing to pay $20 for two more hours of sleep. Bodyweight workouts: Fact: You can’t always be where your gym is. Sometimes you job makes you travel. Sometimes you only have 20 minutes. It just doesn’t always work to make the trek to your gym, get in a workout and trek back. For those occasions, you’ve got options. Once a week, we post a bodyweight workout that you can do anywhere. There’s also the 7 minute workout app and NTC. The bottom line is that you can do a lot with only your body weight. No excuses. Disclosure: these tools are actually free. Adherence to theme? 0. Saving money? 1. If you’re doing everything right, but you’re not getting enough sleep, your body will eventually mutiny. A tired brain and body will not stand for two-a-days and staying awake all day at work. No amount of coffee can make that work. Buy some better blinds: Living in the city often means that when you travel elsewhere you say things like, “Oh … that’s what stars look like.” Cars, lamps, buildings, restaurants and our neighbors are all emitting light and getting in the way of the darkness that we need to sleep. Too much light interrupts your sleep. If your bedroom is too light, even if you go to bed early with the best of intentions, your sleep may be restless. The worst kind of sleep. Darken that room and your sleep will thank you. It’s science. Invest in massage: I’m usually great at handling stress – because fitness – but one time I had a demon client and I was literally tipping over furniture at work with frustration. So when all of that manifested as a knot on the right side of my neck, you could add not sleeping to the list of things stressing me out. Enter massage. So when I started to get that I’m-going-to-tip-something-over feeling recently, I promptly got a membership to Massage Envy. Whether you hold stress in your hips, neck, arms or legs, when you try to hit the hay, those knots, aches and pains keep you from relaxing into your best night’s sleep. 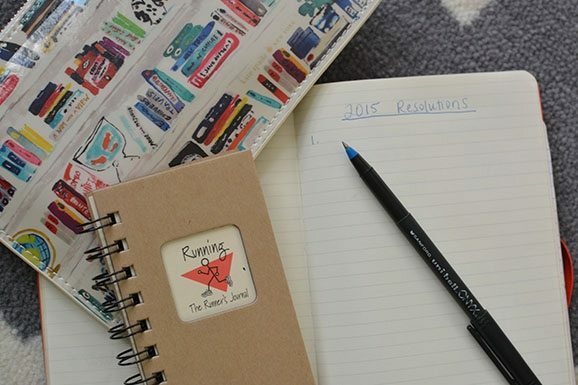 What are you doing to stay on track with your resolutions? I downloaded a Tabata Timer app, and my roommates and I used it this morning to fit in a Tabata workout before work- it made an at-home workout so much easier!